Flash floods swept through the Aude region in the Languedoc-Roussillon region last week, killing at least 10 people and causing devastation to homes and vineyards. 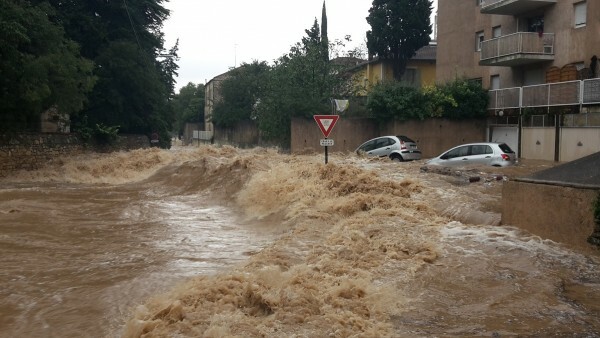 The Aude department was hardest hit, and the largest number of victims were in Trèbes, near Carcassonne, where floodwater was as high as eight metres, with the equivalent of up to four months of rain falling in just six hours. The floods are the worst the Aude river has seen in more than 100 years, according to the weather monitoring service Vigicrues, with seven helicopters and 700 emergency service workers deployed to help in the rescue efforts, as reported by the BBC. A bridge was torn down and carried away by the force of the water in Villegailhenc, while a nun in her 90s drowned in her sleep at Villardonnel monastery. French President Emmanuel Macron has since pledged €80m in aid to support those affected by the disaster. While the damage caused to vineyards is still being assessed, it occurred at a time when the vast majority of producers in the region had already completed harvest. Only a handful of producers in the region still had grapes to harvest, meaning that while those vintners will be affected, the flooding will not significantly impact the 2018 vintage. Had the floods occurred a few weeks earlier, the impact and damage cause could have been far more severe. The damage caused was concentrated in the west of the Languedoc-Roussillon, in the Aude department, near the Medieval city of Carcassonne.